Nordic countries have versatile expertise for cross-sector excellence in the emerging field of Serious Games. 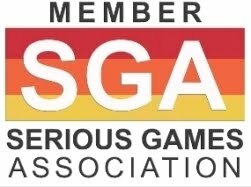 The Nordic Serious Games Project aims at uniting and strengthening the Nordic serious games industry with various collaborative actions for raising Nordic countries in the forefront of the field. The project explores Nordic Serious Games potential. The focus of the project is in discovering and analyzing quality practices as well as game concepts and prototypes in the field. The project also aims at building novel business models and envisioning roadmaps for this technological field, which is closely related to the public sector. An essential challenge is to find and connect interested actors for building an active and inspiring network. The diverse actors in the field must be found and connected with a network. The main activities include compilation of a wiki-based Serious Games community portal, organizing of a series of workshops, Second Nordic Serious Games Conference and communication for wider audiences for making them aware of this field. The aim is also to participate in the European Living Lab process for starting a Nordic Living Lab for user-centered Serious Games design. The Nordic Serious Games Project is a co-operation between the Agora Center and the Institute of Educational Research in the University of Jyväskylä. The project partners are Nokia Research Center, VTT Technical Research Centre of Finland, Learning Lab Denmark, The Danish University of Education, Swedish National Defence College, Norut IT AS, University of Oslo (National Network for IT-Research and Competence in Education), Serious Games Interactive and HappyWise Oy .The NSG project is funded by the Creative Industries program of Nordic Innovation Center. HappyWise Ltd. develops Serious Games aimed at the educational sector and Corporate (training) markets. Games with educational content are motivating tools for learning in various fields and industry branches. Games are also suitable for any age group. They can be tailored to meet the organisation or educational institution specific demands. In addition to games HappyWise offers services related to the game development process such as graphic design. HappyWise is also active in networking with universities who conduct research on educational games. The HappyWise team consists of computer scientists, game designers, content providers, graphic designers and business expertise, as well as theme specific experts for each project. The company was founded in spring 2006 and currently the team consists of 10 people. HappyWise is based in Oulu, the famous IT-city of Finland, and is owned by six of its employees. In addition sustainable development is a significant factor in the company's values and can also be seen in the theme of the main product, Growwwings.net game. Growwwings.net is a cross curricular internet based educational game, whereby players learn about nature and how to care for it in a sustainable way. The game also helps to understand why it is important for people to respect nature. The game is set in a village-like environment and consists of several interconnected sections. The player has his own virtual garden to tend and to protect from various challenges. 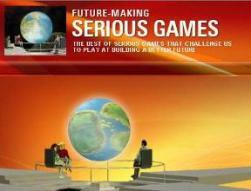 In Spring 2007 the game was in the pilot phase and has been ready for schools to use since August 2007. Growwwings.net is intended to children in the lower level of comprehensive school. The educational content of the current version of Growwwings.net is especially suited for children between 9-13 years. The game is a handy tool for teachers and a motivating learning environment for children. The game integrates ecological sustainable development to subjects like biology, geography, environmental studies, natural history, chemistry and physics. The concept is planned to be extended to both younger and older students. Using the Growwwings.net educational game combines important themes of the National Curriculum in Finland such as integrating sustainable development into various subjects at school, and the effective use of IT in teaching. Many schools are interested in increasing the amount of internet-based teaching. Due to its extensive information content and functionalities that serve different types of learning styles Growwwings.net is a ready-to-use material for web-based teaching. The game contains the following themes: Water, Air, Energy, Cultivation, Natural diversity, Recycling, Sustainable development and Tips for action. Growwwings.net has been developed in cooperation with teachers of comprehensive schools. The information content sources consist of research material and information from public authorities as well as from reliable actors in the field of environmental protection.